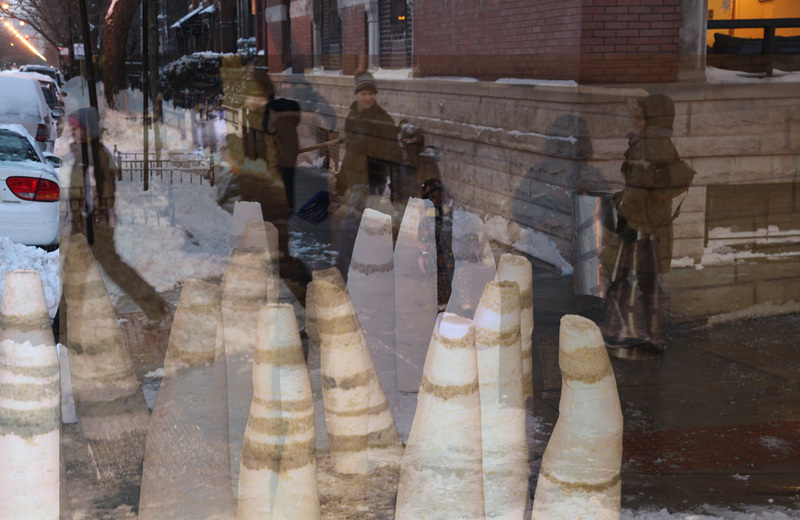 Chicago’s fiercest blizzard in 30 years provided ample material for making ephemeral sculpture. 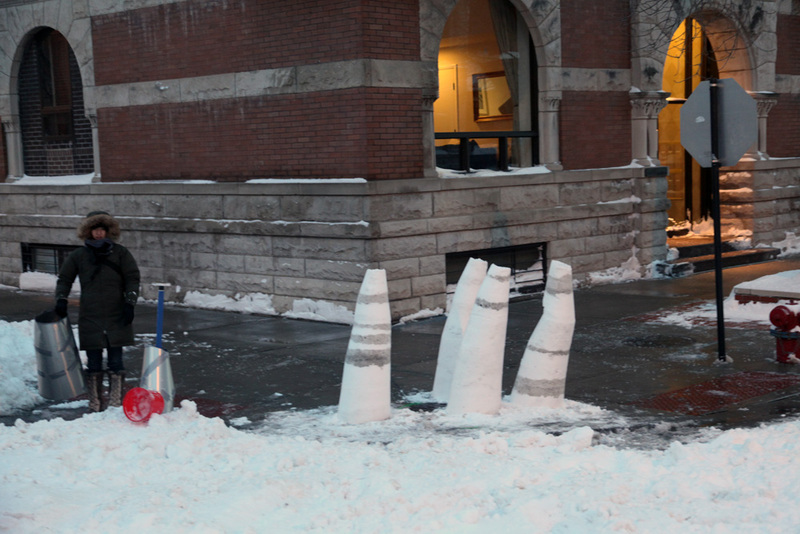 As I built these forms on a street corner in Lincoln Park, several pedestrians stopped to have conversations about the project and some even helped to build it. 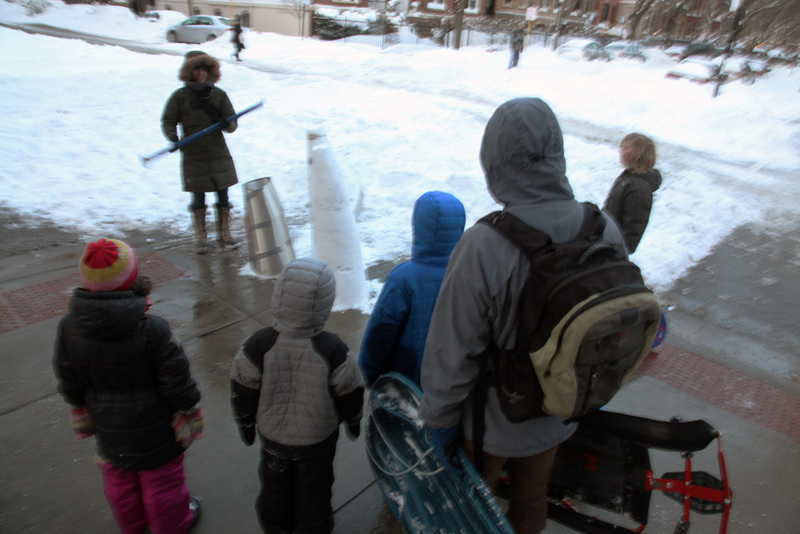 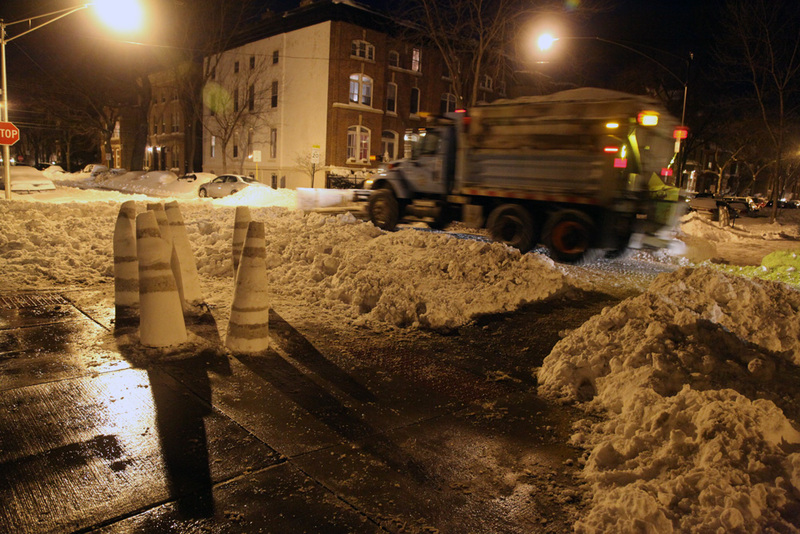 The very next day, however, it became clear that whomever was responsible for clearing that portion of the sidewalk took their job very seriously–the snow cones were obliterated and only small chunks of them could be found amongst the snow drifts.